As marketers, we try to paint word pictures and use creative analogies to convey the benefits of our services. We like it better when dealers choose the perfect words on their own. Read how Carl Hogan Automotive thinks Naked Lime compares to the rest. I have been the Operations Manager of Carl Hogan Automotive for about 10 years, and I oversee everything from remodeling projects to the products we buy. Recently, General Motors put a focus on BDCs and digital marketing, and I sat down and looked at 8 or 9 different marketing companies. There is a lot of competition in this field, but the clear choice was Naked Lime. A lot of companies had one or two good parts, but Naked Lime had everything – and all services included, also came in at the best price. We have other vendors pitch their services to us, but as soon as they hear what we already get from you, they don’t even try anymore. Comparing Naked Lime to others is like comparing a horse and buggy to a rocket ship. It’s refreshing to have a team that doesn’t spend money just because you allowed them to. Naked Lime always has the data to show us what we should do and why. We have used direct mail campaigns in the past, and while they produced calls and visits, customers were mostly there for a free gift or prize. 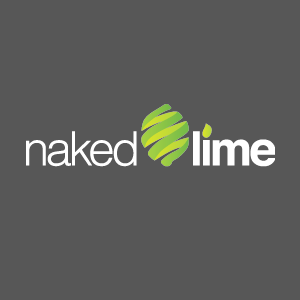 With our Naked Lime campaign, we had 25 sales deals and made over $50,000 in profit, because the people coming in were actual buyers. The sales success has been overwhelmingly positive. We can’t even do Naked Lime’s Targeted Marketing for Service because we can’t handle the traffic when it gets here. Tracking marketing is always difficult, and some will say “okay, we got this sale because we touched them at this time.” Sometimes that’s true. But sometimes it takes five different touch points – for today’s customer, it might be a Facebook ad, tomorrow’s might be a YouTube video. It takes a cumulative effort to be successful, and Naked Lime does that like no one else I’ve found. If I went to another store next week, I would have Naked Lime in there as soon as I got there. To start the countdown to launching your own new marketing strategy, call 855.NKD.LIME or email info@nakedlime.com.